What’s Valentine’s Day without a love letter? A scrumptious twist on a classic tradition, eight oversized cookies are bathed in red or pastel frosting and lovingly decorated. 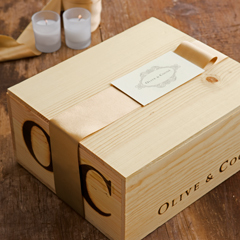 Big, buttery, and crispy, cookies arrive gift wrapped in a hand crafted wood crate with ribbon. 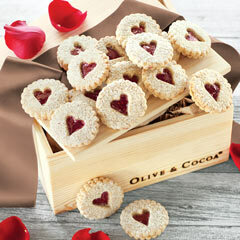 Sending My Love Cookies is rated 4.8 out of 5 by 9. 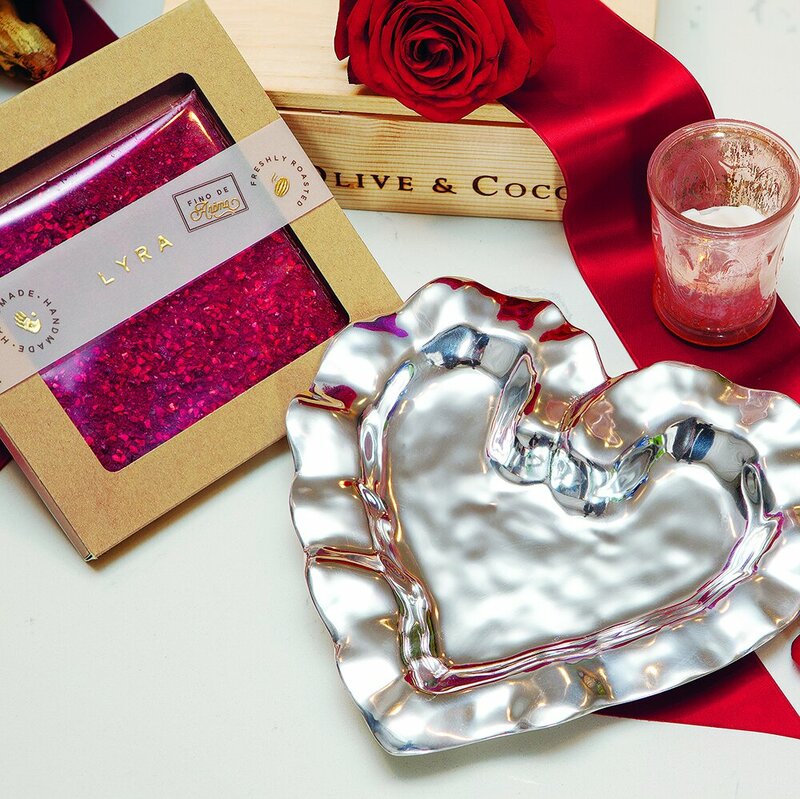 Rated 5 out of 5 by dear27 from Fun and delicious gift. 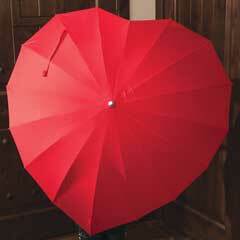 I bought this for my 9 year old granddaughter who lives far away for Valentine's Day. She loved receiving the cookies and the box. Thank you for such a beautiful presentation. 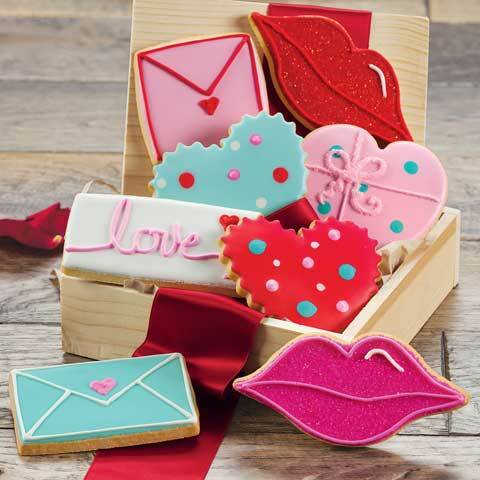 Rated 5 out of 5 by Bougiee from Valentines These cookies not only look so cute but the package was awesome and they tasted sooo good. They were a hit. Rated 3 out of 5 by Charity from Impressive I sent this gorgeous assembly of Valentine cookies to my 2 granddaughters. I was able to taste a cookie from one of the recipients and was surprised to find the taste to be that of a cookie baked far too long in advance. Had it been fresher I’m sure it would have been lovely. ‘Twas most pricey for the result. Rated 5 out of 5 by Janer from I bought these cookies for my Grandchildren for Valentines Day. They arrived on time and they loved them. Rated 5 out of 5 by Mother Goose from Valentines Cookies I sent these to my daughter at college. They were beautifully pacakaged and delicious ! They are a high quality bakery cookie and taste as good as they look!! Rated 5 out of 5 by Lind from Valentine Cookies Ordered for my sick parents. They called w Excitement upon arrival. Explained to me the pretty wood boxes cookies came in. Cookies were amazing. Rated 5 out of 5 by Tara Lee from A great way to send a hug from afar! I couldn't be with a friend on a special day but happy to send her a hug & package of love from afar! Thank you! !